Sliding doors are just as much of a decorative piece as they are a practical item for the bathroom. They make a tasteful addition to the design of our bathroom, and allow us to blissfully engage in our bathroom shenanigans without a worry of getting water all over the floor. 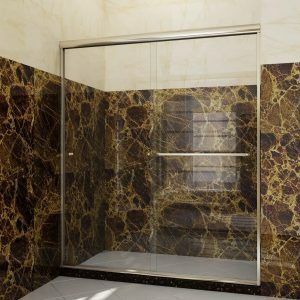 When searching for a new bathtub sliding door, it is important to consider these two factors. As a customer and a homeowner, you’ll want to select a door that is not only suitable for its function, but fits the aesthetic of your bathroom. 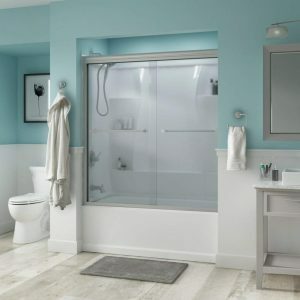 To make your decision a little easier, we’ve brought to you some bathtub sliding doors that we think you’ll like. The Mecor 60 boasts a plain design, but in no way does that mean it is lacking in standard. The Mecor 60 consists of two separate, frameless doors that are each a quarter of an inch in thickness. The two doors overlap, covering a base of a respectable 60 inches. Don’t worry, though, if the base in your bathroom is slightly less than 60 inches. The Mecor 60 can be adjusted from any width between 54 to 60 inches. The constituents are high quality tempered glass and aluminum with a humble finish of brushed nickel and chrome. In terms of weight, the Mecor 60 finds itself at 106 pounds. Not the lightest of objects, but still a comparatively low figure as far as most sliding doors go. This is quite convenient as it makes the task of moving the doors into the house and installing them into the bathroom a little easier. Speaking of installation, the package that includes the sliding doors thoughtfully supplies an installation guide and all the equipment you’ll need to get the job done. That’s not all. You will also be provided 2 towel bars, track rails to be placed at the top and at the bottom of the doors, wall channels, and knobs. All in a modest silver colour, and all there to help accessorise your doors. The Mecor 60 is all around an ideal sliding door that you will hopefully be willing to look into. The DreamLine Visions 56-60 possesses an impressive sense of design. The clear glass pieces fit snuggling between the sleek anodized aluminum guiderails. Then of course, is the addition of a brushed nickel finish that blends nicely with the tempered glass and aluminum components. The two sliding doors are held into place with stationary panels that make way for an opening in the middle- an ideal feature for anyone with a preference for a central walk-in opening. The doors themselves are frameless, but that is all the more better. The lack of a frame gives more space for the quarter-inch thick glass to shine. The DreamLine Visions 56-60 doesn’t rely on looks alone, though. The tempered glass is certified by the American National Standards Institute (ANSI) – a clear indication to its fine quality. It is also considerably light at 87 pounds, making it an easy piece to lift and transport. Another nifty feature of the DreamLine Visions 56-60 is that the anodized aluminum wall profiles and guiderails can be adjusted. Vertically, they can be adjusted to add another inch to the length. The width, though, has a wider range for change. Up to 4 inches can be cut or added to the guiderails located at the top and bottom. All in all, the DreamLine Visions 56-60 is a high-quality product that is sure to make a fine addition to the aesthetic of your bathroom. With a fanciful curved design, the Windemere hopes to add a little bit of beauty to an otherwise regular bathroom. It helps the owner explore their own creativity and consider their own aesthetic by providing multiple design choices. Three different patterns are provided for the tracks; the bronze track, the chrome track, and the nickel track. The glass also comes in many types such as the rain glass, the transition glass, the niebla glass, and even the clear glass for anyone settling for a simpler look. The Windemere handle itself serves a more traditional, yet polished, look. 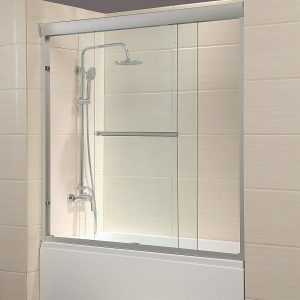 It is accompanied by a Trinsic showering door handle that provides the owner with a place to hang their towels. The quality of the product is nothing to underestimate. 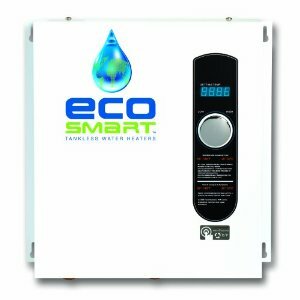 The tempered glass is ANSI-certified, and features a spot guard glass coating that makes washing the glass less of a hassle and prevents the formation of water spots. The metal tracks are fashioned from anodized aluminum, which keeps the door sturdy and free of damage. Surely, the Windemere doors are perfect for anyone wishing to add a little bit of quirkiness to their bathroom. The SUNNY SHOWER B020-6072CB has much to offer. First of all are its specifications. The sliding doors cover a base of 60 inches, but can be modified to fit anything as small as 56 inches. 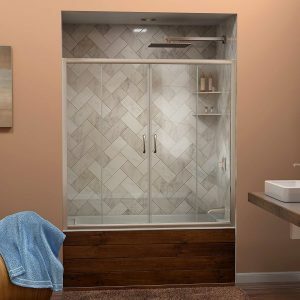 Height wise, the sliding doors serve up an impressive 72 inches, making them a great choice for any bathroom with a high ceiling or an overreaching rain shower head.It weighs a modest 106 pounds. Its design doesn’t overextend itself, but provides just what a sliding bathtub door needs. The glass is frameless but sports a nickel finish. The doors slide either way and can be reversed during installation. Then of course, are its several accessories. While the sliding doors come with wall channels and tracks that are necessary for installation, a towel bar and knobs are also supplied. To make installation less of a burden, a guidebook and the installation equipment are also included. So, why not settle for an all-around classic sliding door? 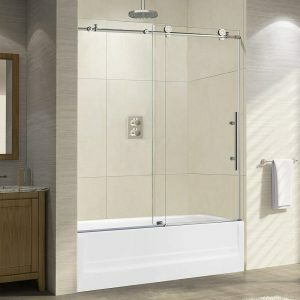 The Woodbridge MBSDC6062-C Frameless Sliding Bathtub Door is bursting with numerous features and accessories. The glass door is specifically suited for durability and safety, with the tempered glass reaching out to a thickness of 10 millimetres. If you are still uncertain, though, about the likelihood of the glass breaking, then you should be made aware of the fact that it is ANSI approved. The doors are quite hefty, weighing in at 213 pounds, but not without good reason. The glass doors are accompanied by stainless steel hardware, such as steel rollers and rails for installation. The sturdy, yet smooth, rollers allow for the doors to slide across with little to no difficulty whatsoever. The stationary panels and rails guarantee that the doors maintain a strong grip to the wall and ensure that they are less susceptible to ricketiness. Another perk of using stainless steel is that it is long-lasting and resistant to rusting, dents, or scratches. In fact, the manufacturers assure customers that these sliding doors are built for life use. Adjustments are very much an option. The wall-mount brackets included within the steel rails allow for the sliding doors to be adjusted to a length of 13 millimetres. The steel bar that secures the door from the top can also be modified at about 4 inches, allowing for the width of the doors to be regulated to your preference. This all seems quite impressive, but Woodbridge still offers more. The doors are available in several styles ranging from traditional to modern to craftsmen. And in the end? A chrome finish.